Move right in because this stunning all brick Logan home just received a facelift! You'll find new paint, new carpet, new landscaping,additional crown molding, new hardware, new window tinting and more! Near the new Grove gate, you are only five minutes from the beach and near the marina. 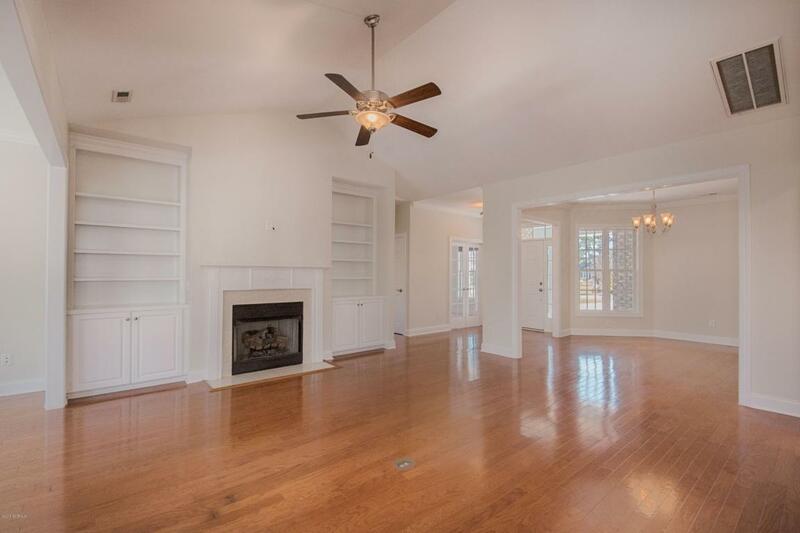 You'll have three bedrooms, three full baths, a sun-room and study/library or 4th bedroom. Your master suite and second bedrooms offer must see custom closets. You'll have an oversized soaking tub, walk in shower and water closet. 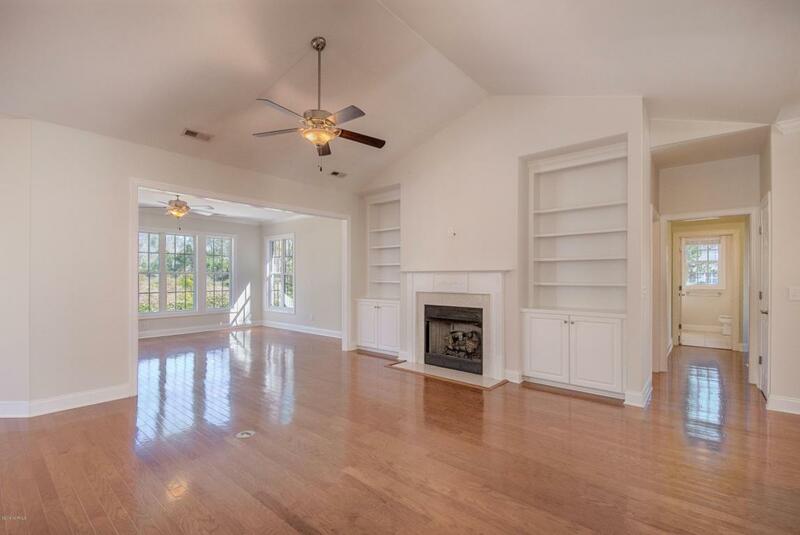 Your open floor plan boasts gorgeous hardwood floors, vaulted ceilings, extensive crown molding, custom built ins around your gas fireplace, and a spacious formal dining room. The chef in the family will love his/her gas range, marble counter tops and stainless steel appliances.Your guests will have a choice of sleeping downstairs or in a private second master suite upstairs. No one will build behind you as your property adjoins the nature preserve of St James. Take note this property is in an area the lender will not require flood insurance. 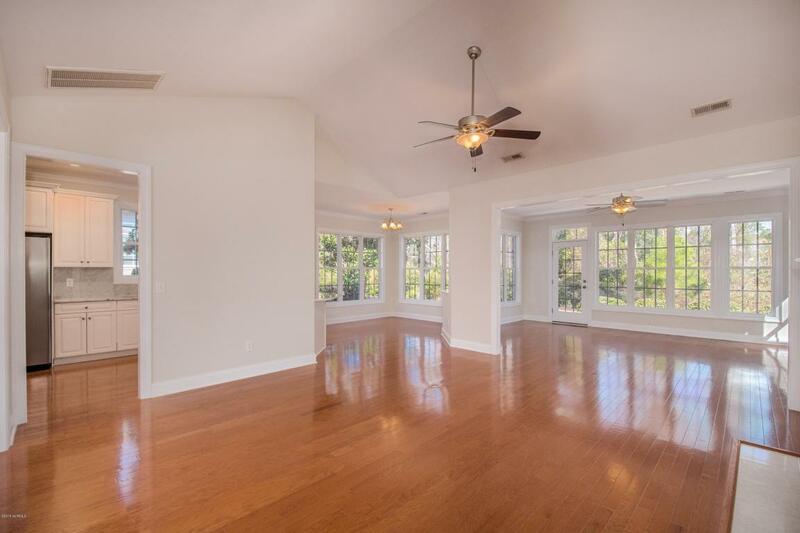 Join this lifestyle with amenities such as multiple pools, kayaking, clubhouses hosting community social events, woodlands park amphitheater, miles of walking paths, tennis courts, championship golf, fishing areas and an ocean front beach club. Your new St. James address means you are near all that Historic Southport has to offer and a scenic ferry ride to the renowned Bald Head Island and Fort Fisher Aquarium. Take your first step today in making 2386 St James your new address. Master Bedroom Room Remarks Must See Closet Upgrades! 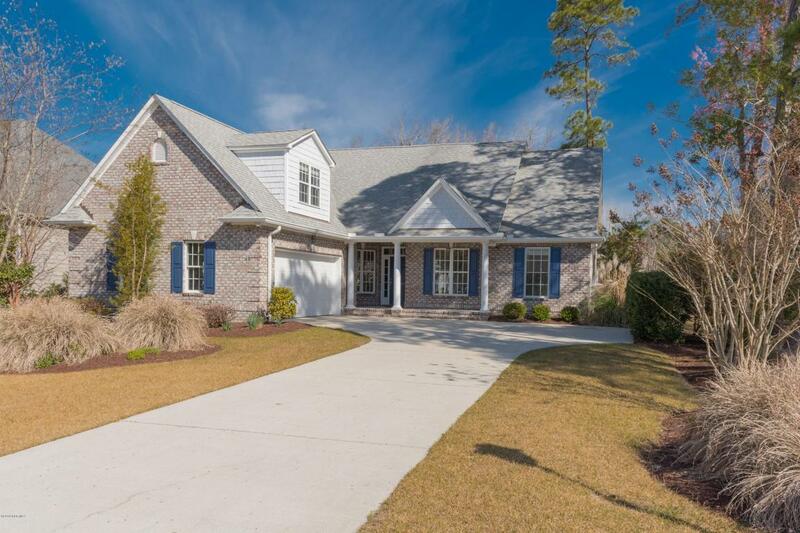 Listing provided courtesy of Cynthia W Wilkinson of Century 21 Sweyer & Associates - Landfall.